Firms do not only deal with what their customers or clients need, they are also concern about their employees’ welfare. After all, it is their employees that strive to please and serve their clients. For instance, in a restaurant, it is the servers, waiters and/or waitresses, and the chef that make sure the patrons are going to eat what they have ordered with gusto or enjoyment. That is why establishments offer services they think can benefit to the welfare of their workforce. One of these perks are day off privileges. 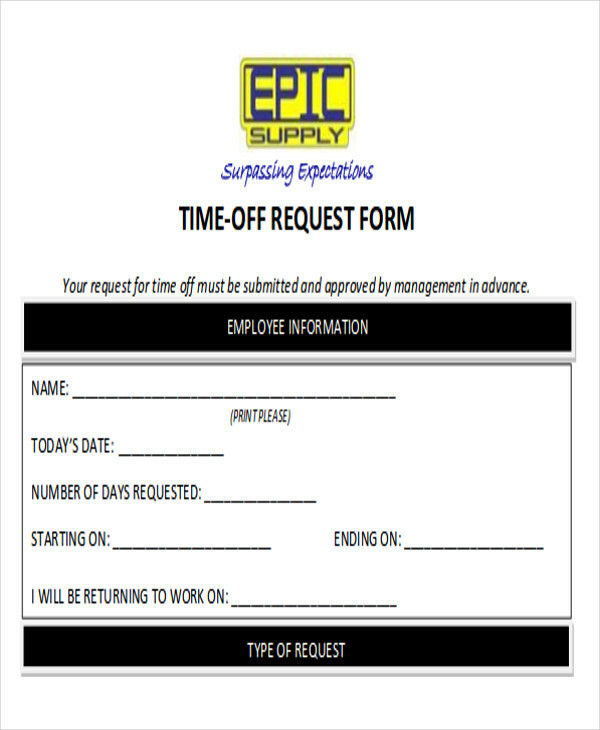 If you think you need a bit of a break from work, below are Sample Forms you can check out and download for free. A day off is a day’s worth of break from work. This falls on a day when there is supposedly work. 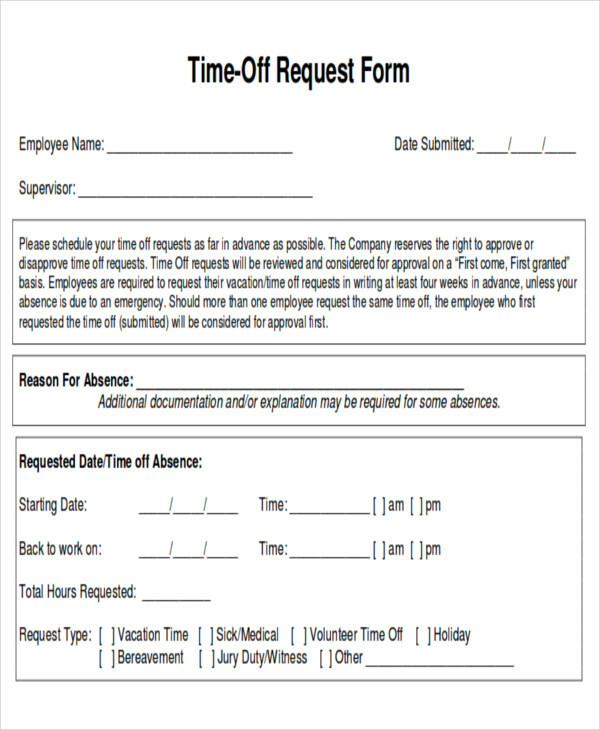 One of the things that you need to do if you want to take a day off is to file for a day off work. First is that you have to know your company’s policies and protocols. You can probably check your handbook or manuals, in case you are not that familiar with them yet. 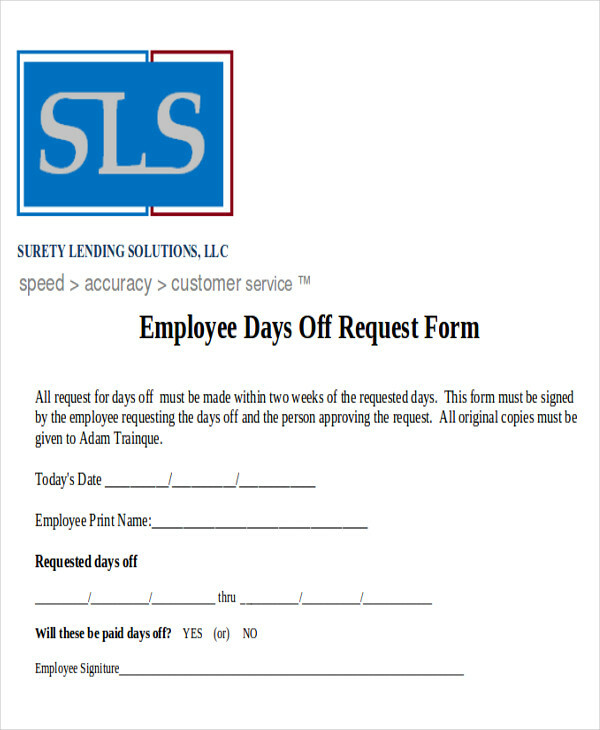 Make sure that you follow and comply the necessary papers that come along with your request. You should provide adequate notice. Respect your company by informing them about the day when you will not be around, that way they don’t have to have issues regarding the work that you are about to leave behind. You should give them your reason. Whether they approve your request or not relies upon the reason that you are going to give them. Be nice. You are not simply informing them, what you are really doing is requesting, that’s why you have to ask nicely and with tact. Remember to say, “Thank You!” Do not forget to express your gratitude. 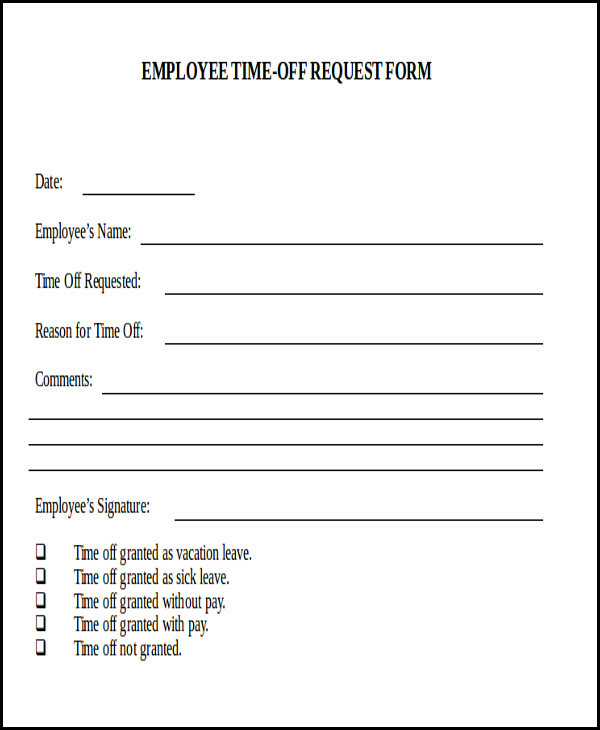 Take note, that even though you are entitled to a day off, there might be some instances when you have probably already used up your privileges, so be thankful that they are very kind for granting it to you. The signature of the person who will approve or deny your request. 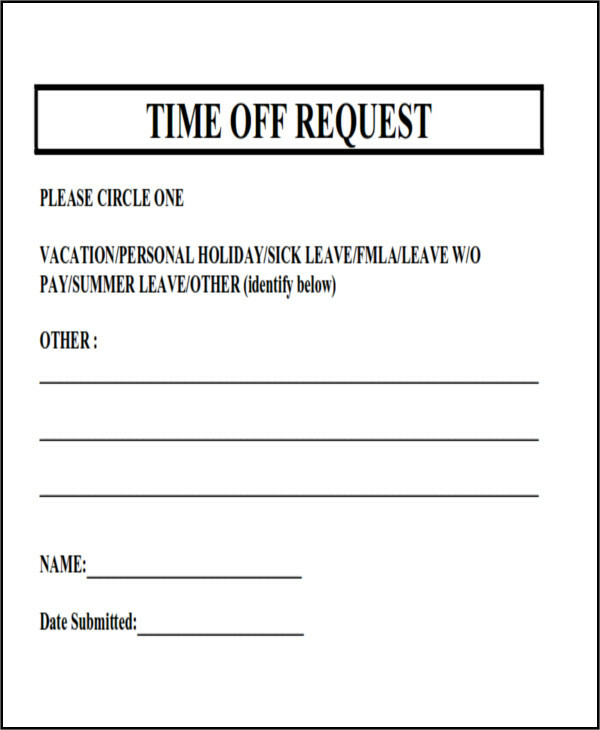 We have Time Off Request Forms and Vacation Request Forms. You may also check them out in case it turns out you want more than a day to take a break. A day off is not just taking a break. 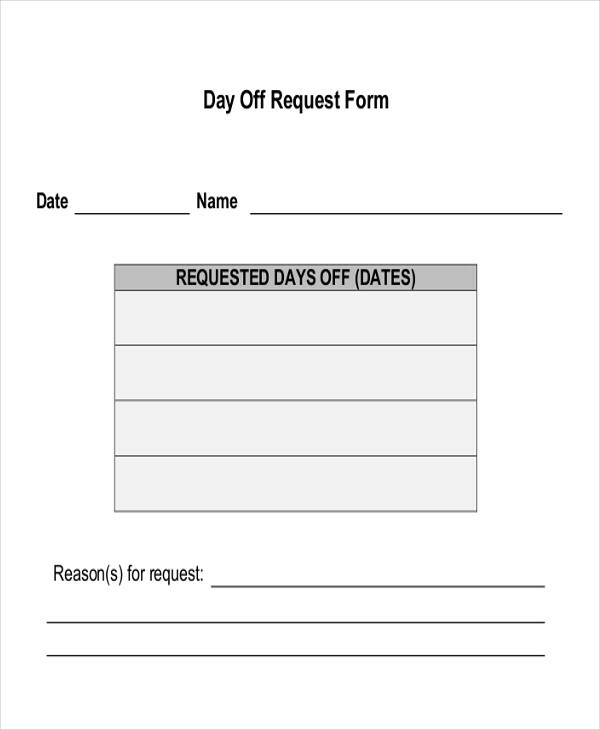 You can request for a day off work if you have important matters to attend to off work. An example is attending your kid’s graduation. It is important for you take a break from work at least from time to time. You need to de-stress. You may be stressed out from the demands of your work and is causing your performance to duck down, and when it does, the company could be affected too! The great thing about taking time off work is that you can refresh and relax, that way you can have the energy to face your tasks once again; this time, with renewed focus and fresh perspectives. 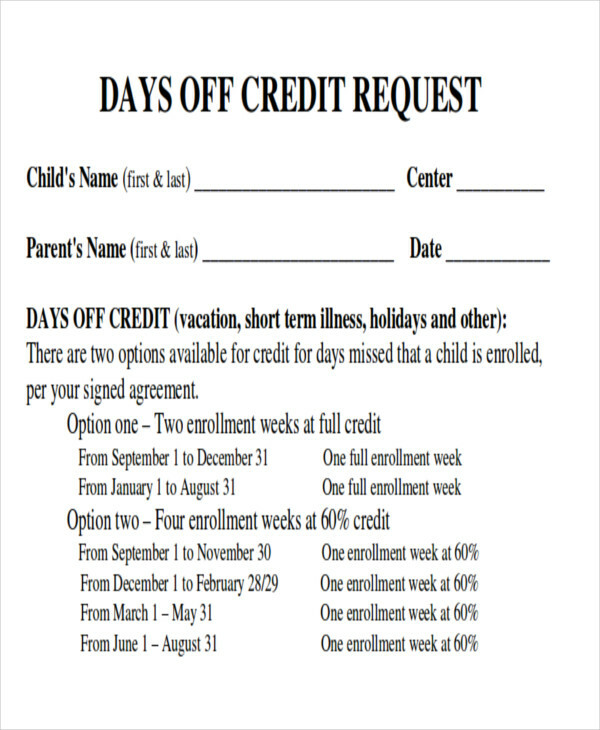 If traveling is your kind of break, you can also check out our free Travel Request Forms.